Saturday night is a big night for Kerry’s Minor and Junior Footballers and Under 21 Hurlers when they are presented with their All Ireland Medals at a function in The Rose Hotel Tralee. The Minor footballers of Course completed an historic 4-in-a-row of All Ireland titles when defeating Derry in Croke Park on a day on which scoring records of all kinds were broken in the course of recording their 15th title. 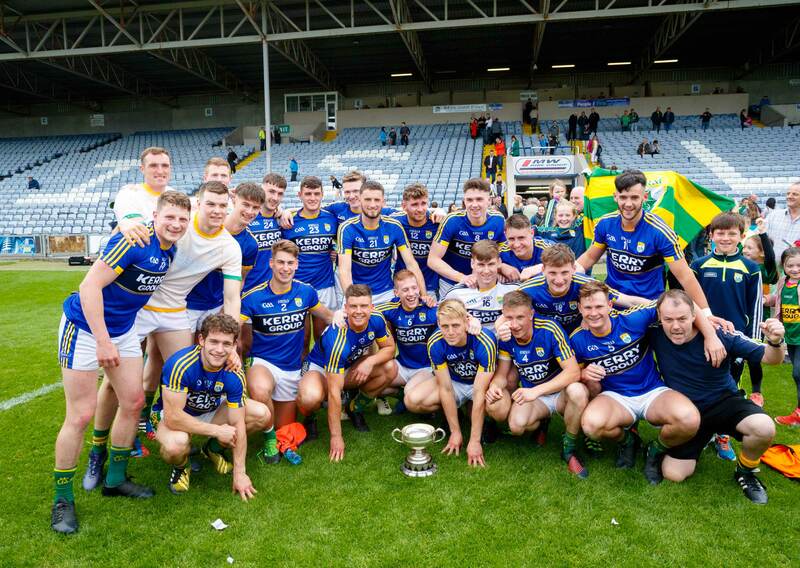 The County’s Under 21 Hurlers found Wicklow a tough nut to crack in the All Ireland Minor B Championship final in Semple Stadium in Thurles before edging out the Garden County on a 2-12 to 2-8 scoreline to ensure that the Ritchie McElligott Cup returned to Lixnaw and Kerry. The Junior Footballers completed a 3-in-a-row of titles and that is extraordinary given that they did so with three different teams! Meath were the challengers this time in Portlaoise but they could not cope with Killian Spillane’s men as Kerry go to the top of the Junior Roll of Honour with 18 titles. Mick O’Dwyer and Maurice Fitzgerald will be the special guests on Saturday night.